San Jose, CA (April 29, 2016) TransPak, a leading provider of logistics solutions, custom crating, packaging and design services, partners with retail giant Restoration Hardware to design and produce gift bags and boxes and in-store displays and signage. Restoration Hardware trusts TransPak to maintain the high level of visual appeal and quality of touch for which the brand is renowned. TransPak's motto is We Make It Happen. Customers know they can call TransPak with the demands that inevitably occur when running a global business. TransPak's recent "We Make It Happen" began on a Friday afternoon. 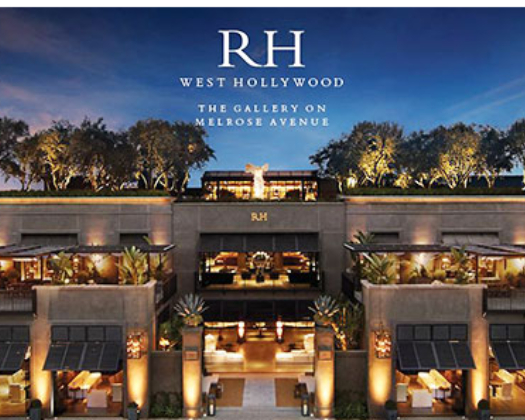 RH requested almost 4,000 in-store Window Hardware displays. Due? On Saturday. TransPak produced 20 different versions of this signage which were collated into 552 sets. 3,734 pieces were delivered to 59 different RH locations, on-time and ready to go. Lourdes Ruiz, Senior Production Manager at RH, knew she might be able to pull this schedule off with TransPak. "We called in a near-impossible request with our trusted partner TransPak....and a day later, TransPak delivered. Our brand requires visual perfection and they nailed it." TransPak's knows it can Make It Happen by its design expertise to manage the RH brand, its print production oversight and partnerships, and the logistics mojo to deliver these displays - the right ones into the right stores - on a deadline. TransPak looks forward to Making It Happen for your business, too.